Budget combines the strength of one of the world's largest car rental brands together with the detailed local knowledge, flexibility and great value for money you need. We offer more than 3150 car rental locations around the world. 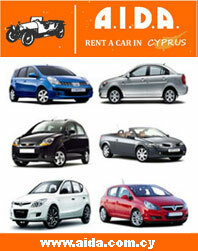 Find low-cost car hire in Cyprus including airports and popular destinations. We are confident that Budget will contribute to making your visit to Cyprus a memorable experience.